Raley’s Curtis Mann imparts wine knowledge to staff and customers. 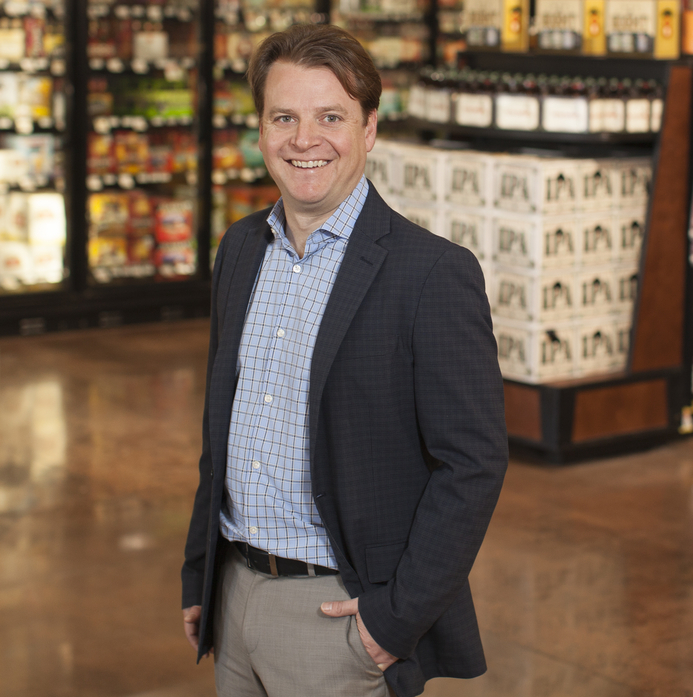 As director of wine, beer, spirits, and beverage at Raley's Family of Fine Stores, Curtis Mann oversees the company's beverage alcohol operations and manages the stores' wine stewards. Indeed, the company’s commitment to educating both its staff and customers has resulted in a “huge uptick in sales,” Mann says. Because of his successful stewardship of Raley’s wine, beer, and spirits program, Mann has been named a 2018 Market Watch Leader. Founded as a single store by Thomas Raley in Placerville, California in 1935, the company has grown into a major supermarket player in northern California and northern Nevada. In the ’90s, Raley’s acquired the Bel Air and Nob Hill Foods brands, and the company continues to grow via acquisition. This spring, Raley’s completed the acquisition of five Scolari’s Food & Drug stores in the Reno area and renamed them Raley’s. Michael Teel, chairman and CEO—and Thomas Raley’s grandson—is the majority owner of the company. Raley’s employs some 12,000 workers. Mann joined the grocery chain five years ago following a number of years with wine suppliers, including Baldacci Family Vineyards and Trinchero Family Estates. He holds a diploma from the Wine and Spirits Education Trust (WSET), and is currently enrolled in the Masters of Wine program, having already passed the program’s practical component. Mann also serves as a judge at numerous wine competitions. At Raley’s, he oversees beer, wine, spirits, and all shelf-stable beverages, and directly manages the day-to-day operations of the wine category, including its team of 35 wine stewards. 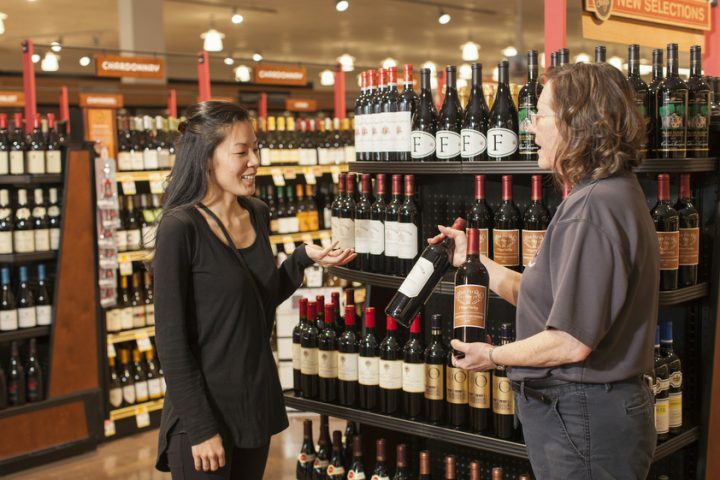 Across Raley's stores, Mann has instituted a team of 35 wine stewards, who host weekly in-store educational tastings and encourage customers to experiment with new styles and varietals. Wine is the biggest driver of beverage alcohol sales at Raley’s, followed by beer and spirits. (Mann declines to reveal percentages.) Depending on the location, stores offer 1,000-2,000 wine SKUs, priced from $3-$300 a 750-ml. Top-selling wines include 2016 JaM Cellars Butter Chardonnay ($23 a 750-ml. ), 2016 Bogle Chardonnay ($15), and Mumm Napa Valley Brut Prestige sparkling wine ($30). Since taking over the category, Mann has changed the wine assortment and the look and feel of the department to create a wine-shop atmosphere. He has also spearheaded the hiring of wine stewards. “Our goal is to find the classic wines of the classic regions of the world,” Mann explains, adding that such a mission requires significant tasting—between 4,000 and 5,000 wines a year, he estimates—and travel to wine regions around the world. Imported and craft beer (cooler above) is gaining ground at Raley's, where top-sellers include Lagunitas IPA and Denmark's Munkebo Viking King porter. Raley’s stores stock up to 600 beer SKUs, priced from $8-$14 a 6-pack. Top sellers include Lagunitas IPA and Sierra Nevada Pale Ale (both $10 a 6-pack of 12-ounce bottles) and Firestone Walker’s 805 Blonde ($19 a 12-pack of 12-ounce cans). Mann says major domestic brews have “stopped the bleeding, and are holding their own,” while imports and crafts are gaining ground. “Modelo Especial, Corona Extra, and the other Mexican imports continue to do really well,” he notes, adding that within crafts, despite the popularity of IPAs, consumers appear to be looking for more sessionable, lighter-style beers. “It seems like every six months something new is popping up in the craft space while something else is declining.” Mann believes imported crafts could be the next big wave, pointing to the success of such beers at Raley’s as Munkebo Viking King porter from Denmark ($15 a 6-pack of 11.2-ounce bottles). The spirits selection at Raley’s ranges from 500-800 SKUs, priced from $7-$200 a bottle. Top-selling spirits labels include Jack Daniel’s Tennessee whiskey ($25 a 750-ml. ), Jameson Irish whiskey ($30) and Tito’s vodka ($24). “Tito’s continues to be a monster,” Mann says. “It’s really on fire and kind of overshadowing everything else.” Among spirits categories, whisk(e)y—including Bourbon, Scotch, Irish, and Japanese—remains strong at Raley’s. “It doesn’t seem like it’s going to slow down any time soon,” Mann remarks. “There are more and more interesting releases, and we’re really focused on finding those small-production, single-barrel batches.” Beyond whiskies, Tequila, particularly offerings priced at $20-$50, is a strong performer. “Customers are starting to realize that there are some really nice Tequilas that are $25,” says Mann. 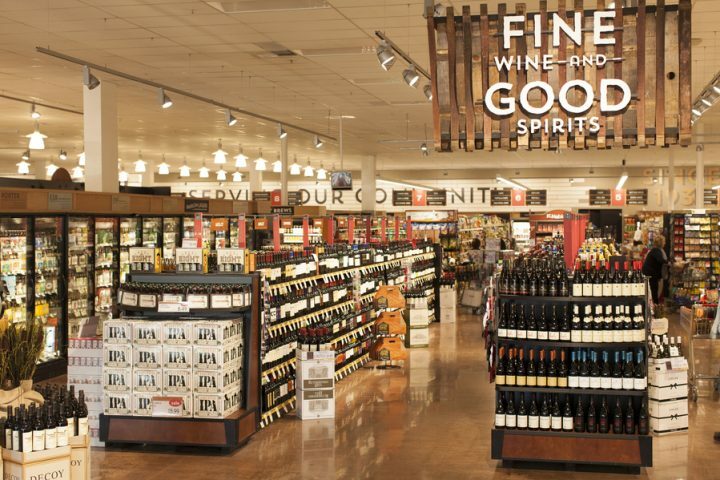 Individual beverage alcohol departments at Raley's stores (Granite Bay, California unit pictured) each have their own footprints. The beverage alcohol departments at Raley’s stores don’t follow a standard footprint or cookie-cutter format. 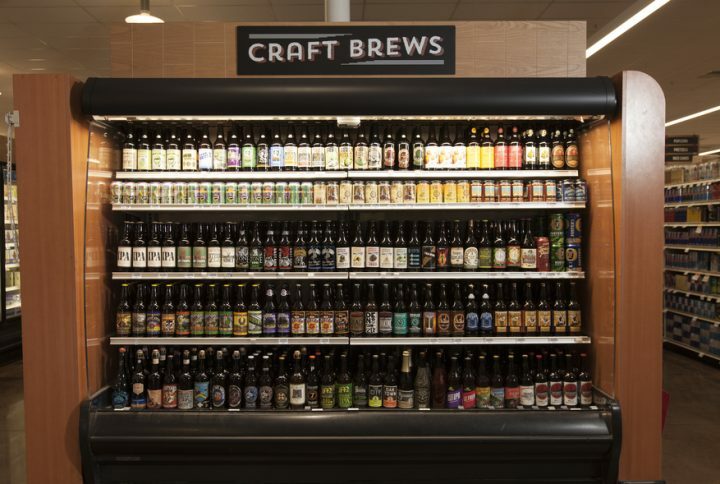 “Every store has a different look and feel,” notes Mann, adding that the departments typically measure between 800-1,000 linear feet and include 60 feet of beer cooler space. 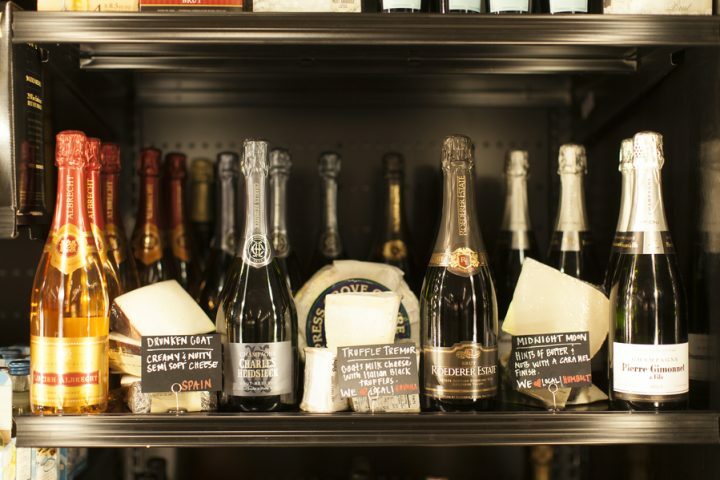 Three locations feature wine and beer bars where customers can enjoy on-premise drinks along with prepared food items, while eight stores contain Borgen wine cases that can accommodate between 50-75 age-worthy wines. Raley’s sees opportunity ahead with the wine and beer bars, and Mann says the chain has plans to open more. When it comes to wine displays, Raley’s is moving away from branded displays in favor of style or varietal executions. “Our customers don’t shop by brand,” Mann explains. “They shop by style or varietal, and such a display helps with our education efforts as our customers can easily switch out a brand and try something new.” Wine is cross-merchandised out of the beverage alcohol department as well, paired with items in the meat, seafood, prepared foods, and floral departments, while high-end spirits can be found in display cases. Raley's wine displays are evolving from branded displays to varietal executions, and the chain is cross-merchandising wine outside of beverage departments as well (wine and cheese display pictured).